Owing to our association with most recognized manufacturers have enabled us in supplying high performance oriented footwear testing equipment. These are available at industry leading prices and easily meet with specif requirement of the clients. 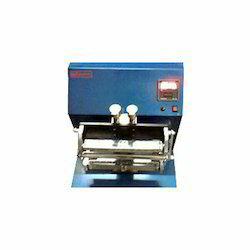 The range encompasses sole adhesion tester, shoe flex tester etc. 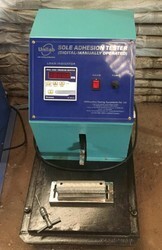 Sole Adhesion Tester is an important apparatus to study the adhesion of the shoe. It deploys stretching technique that is pre determined. You can increase or decrease the levels as per specifications and ensure that there is no problem in the process. They have digital readings to ensure that the results are displayed with no chances of error. 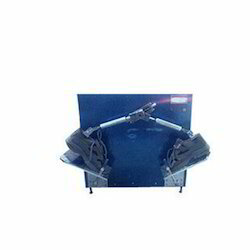 Footwear industries require accurate test results to maintain quality and Shape Retention Tester is one of the best apparatus to study the most crucial quality of any shoe. It stretches the sample to a standard level that is identical to the shape and pressures exerted by a foot. It looks in for deformation and other damages. 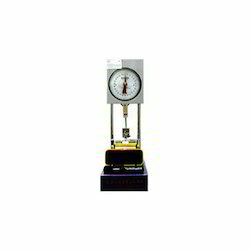 Bennewart Flex Tester is ideal for measuring the flex strength of the soles and determines the extent of flex it can take before giving away. It measures the resistance of sole to flex in an objective and calculated reading that has no chances of error. 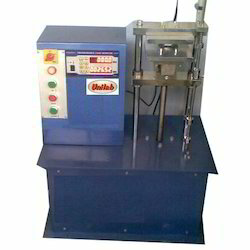 It helps in certifying the quality of shoes and soles with accuracy and reliability. Shoe Flex Tester determines the resistance of footwear against flex. The material needs to be sturdy enough so that it does not develop cracks on the areas that experience the maximum flex. It creates standard conditions for testing the tenacity of shoes against continual usage patterns. Digital readings avoid the errors one might face during analog readings.